Glass screen protectors have saved me $100s of dollars in repairs. I use them on our cellphones, tablets and now on the Nintendo Switch my daughter and I share. 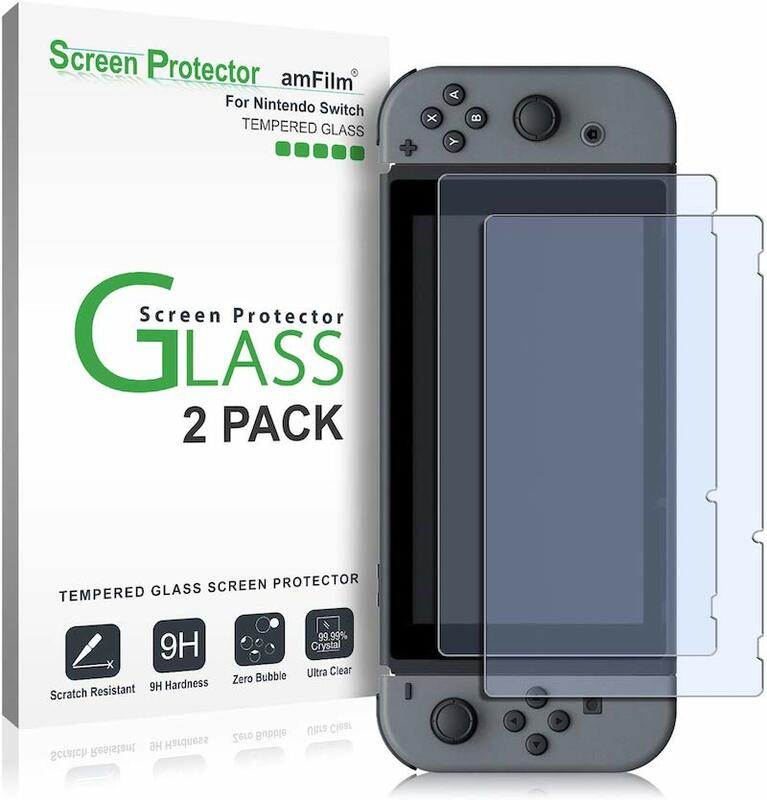 Simple to apply, these glass screen protectors ward off scratches, scuffs, and sometimes even direct hits. I never mind replacing one, as they are super cheap and the event also presents as an opportunity to clean the device needing service. This morning our Switch was smacked into the corner of the Hammond organ my kid uses as her charging station. The value of the screen protector was proven. It shattered, the screen did not.